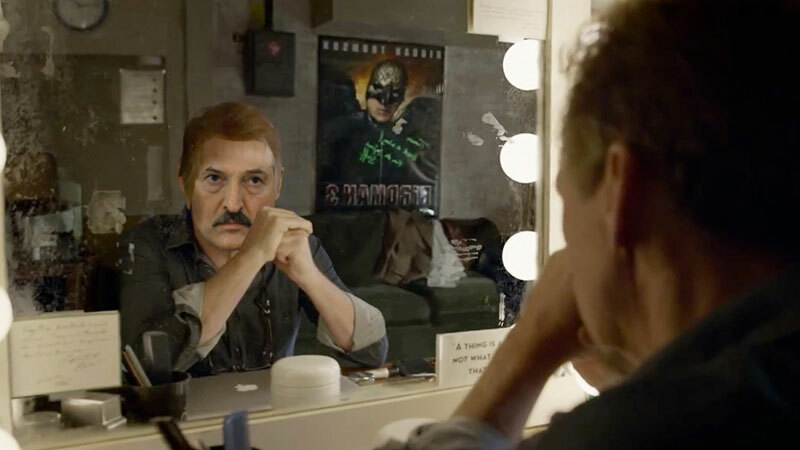 Total media control, or the unexpected virtue of being Alexander Lukashenko. Images edited by Kevin Rothrock. The state of free speech in Belarus enjoys remarkable stability: in 2015, Belarus placed 157th out of 180 countries on Reporters Without Borders’ Press Freedom Index for the third consecutive year. Attacks on the independent media have been commonplace since the 1990s. Restrictive laws, raids on newspapers, politicized criminal prosecutions, travel bans against outspoken reporters, and failing to investigate the murder of several journalists—Minsk has used every possible tool in its arsenal against the free press. The Belarusian president, Alexander Lukashenko, who's sometimes called “Europe's last dictator,” once said journalists “hold a weapon of a most destructive power.” That's the reason, he says, the state must exercise such control over the media. Today, Minsk controls the media almost entirely. There are a few rare exceptions online, like the opposition news outlets Charter 91, Naviny.by, Belaruspartisan.org, the newspaper Narodnaya Volya, and a few others. Lukashenko would probably be happy to shut down these publications, too, but they provide a semblance of pluralist democracy that's useful when responding to criticisms at home and especially abroad. Lukashenko headed a collective farm before the Soviet Union collapsed. Today, he treats the Internet with a mix of awe and caution, regarding it as one of mankind's greatest creations, albeit a potentially dangerous, inherently American weapon. 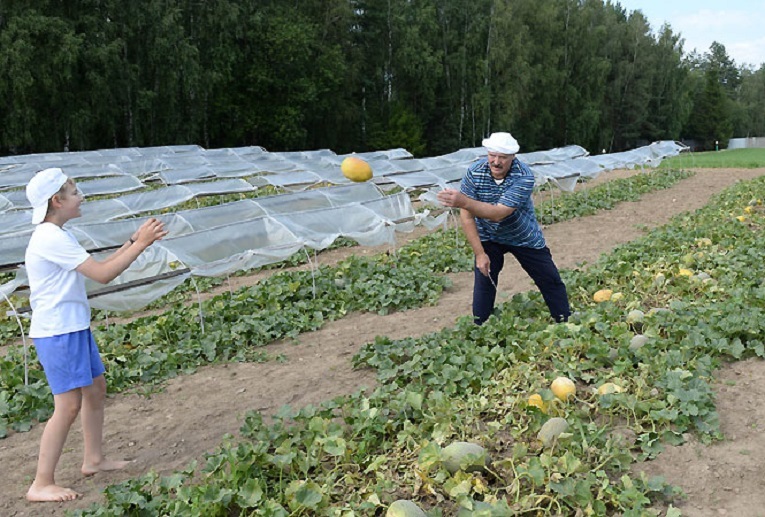 Alexander Lukashenko and his youngest son Kolya during harvesting on the territory of the presidential residence. Image: Press-service of the president of the Republic of Belarus. Belarus’ suppression of the media becomes especially violent during election season. During the last election, in December 2010, several opposition websites and some entire social networks went down, targeted by blocking and hacking efforts. Police raided the offices of Belsat TV and European Radio‘s local station, detaining several journalists. Lukashenko declared victory in the election, but an international monitoring group from the Organization for Security and Cooperation in Europe said the election was neither free nor fair. Between 10,000 and 60,000 people gathered in downtown Minsk to protest the voting results, but police special forces dispersed the crowd by force and arrested as many as 700 protesters, as well as seven of the nine presidential candidates. The next election will take place later this year, in November 2015, and the country's political situation promises to be even more volatile. Five years ago, most Belarusians lived in relative comfort, enjoying rising wages and retirement benefits. In 2011, however, the country's currency reserves ran out, and the dollar exchange rate nearly tripled from 3,100 Belarusian rubles in March 2011 to 8,700 by October. (Today, it takes almost 15,000 Belarusian rubles to buy a single US dollar.) The value of oil worldwide, too, has plummeted. Lukashenko has managed to contain the economic crisis thanks mainly to generous loans from Moscow. In 2015, the Belarusian government owes its creditors roughly $4 billion, which is about two-thirds of its entire foreign reserves. The Belarusian economy, dominated by large, inefficient state-owned companies, is little reformed from its Soviet predecessor. The longer the country's financial woes continue, the less likely it is that Russian aid can rescue Lukashenko from a reckoning with voters. Also, Russia's own imploding economy, not to mention Lukashenko's refusal to endorse the annexation of Crimea, jeopardizes this one remaining lifeline. Officials in Minsk seem to realize that a cataclysm might be ahead, and there are signs that Minsk is moving to address the situation, ahead of presidential elections. Last December, the parliament adopted amendments to regulations on the media, equating the online media with the traditional mainstream media. The reforms also grant the Ministry of Communications and Informatization the power to shut down online resources extrajudicially. В нем [интернете] власти также начнут формировать свою альтернативную реальность, в которой в обменниках есть доллары, в стране нет безработных, а милиционеры не лгут в суде и не фабрикуют административных и уголовных дел. The authorities will begin to form their own alternative reality on the Internet, where there are plenty of dollars in the currency-exchange offices, there are no homeless in the country, and policemen don't lie in court or fabricate evidence for civil and criminal charges. Soon after the changes to Belarusian media regulations, several independent news sites became inaccessible almost simultaneously. The government didn’t take the responsibility for the outage, instead blaming technical problems and DDoS attacks. According to Alexander Klaskovsky, who works at the independent information agency BelaPAN, the problems experienced by independent online media outlets are obviously the work of the Belarusian government. Such an operation, he says, is only possible with the permission and resources of the authorities in Minsk. Klaskovsky says the crackdown is punishment for covering news about the country's declining economy. Кто-то очень сильно напрягся, опасаясь народных протестов в связи с положением в экономике и прочими проблемами, на которые аудитория независимых медиа могла отреагировать. Someone became incredibly worried, fearing social unrest because of the economic situation and others issues—topics that might provoke the independent media's audience.